Our Minneapolis Tree Removal Company offers affordable prices and fast appointments. We understand that a dead or dying tree is dangerous and each day spent on your land is another day for a possible liability. Plus, dead trees don’t look to good on the eyes either. Our Minneapolis Tree Removal Company has dedicated ourselves to help the local area with our complete tree services. Large, hard to reach trees require a crane removal. We have a fleet of cranes ready to assist us in bringing trees to the ground safely and with less mess. There is no need to mess up your land just to take down a tree. Don’t wait, call us to talk more about our crane tree removal services. If you are familiar with EAB, you know special precautions need to be put in place to ensure these pests don’t destroy another near by Ash Tree. Our ISA Certified Arborist and Tree Workers are educated in the protocol for EAB and have dealt with removing many dead or infested trees without allowing them to spread. Contact us, quickly, if you suspect your ash tree may be infected or is dying without a known cause. From a slender, immature tree to the tallest, thickest trees; our professionals can handle any and all of the local tree removal services that spring up throughout the years. We offer free estimates on all tree removal projects. So, there is no reason you should be stuck looking at that deceased tree any longer. Our Expert Tree Removal Team can safely and successfully remove trees on any property in Minnesota. So, contact us today and get your tree removed tomorrow! It can be that easy! 612.724.6045. 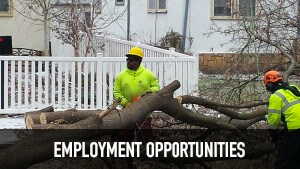 This entry was posted in Tree Removal and tagged crane tree removal, Mpls Tree Removal, tree removal, Tree Removal Company Minneapolis, tree removal services. Bookmark the permalink.